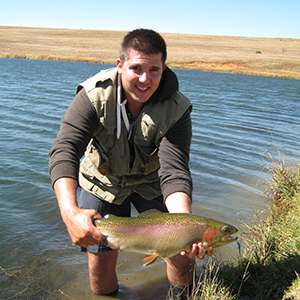 Fly fishing is one of the biggest forms of freshwater angling in South Africa and is practiced by many fly enthusiasts and novice anglers. 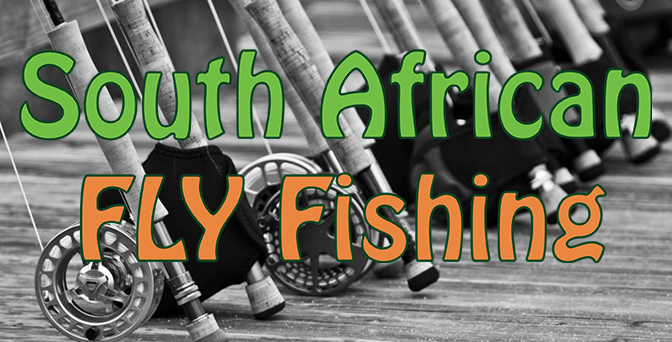 It is arguably the most relaxing form of freshwater and saltwater angling. Fly Fishing is quite difficult to pick up and become good at it, but hopefully the pages on this website will help you become a better fly fisherman and catch more freshwater fish and saltwater fish on fly. Almost any species of freshwater or salt water fish can be targeted on fly, and it is very rewarding when you do get that target species. 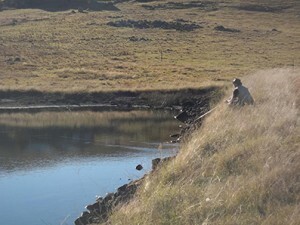 One of the more popular saltwater forms of fly fishing is targeting Bonefish, Mullet, Giant Kingfish (GT’s), Garrick (Leervis) and other game fish species like Dorado, Sailfish and Barracuda… Whereas in the freshwater systems of South Africa fly fishermen mainly target Rainbow Trout, Brown Trout, Yellowfish (Various species), Barbel, Mudfish, Moggel, Tilapia, Bass and Grass Carp… All sorts of flies have been tied and sold to fly anglers over the years for those fishermen to pursue their target species and many have worked. With the bait imitation or fly you are trying your best to mimic on what you think that Bonefish or the Yellowfish are feeding on… The closer you get to mimicking this and fishing it with the right technique, you will start catching fish. Fly Fishing is essentially the art of casting a fly rod with a lure called a fly that will fool the fish into thinking that it is natural prey. In fly fishing the weight of the fly line carries the hook through the air to the target. There are generally 2 types of flies: Wet Fly (Sinking) and Dry Fly (Floating) with many variants in-between, such as nymphs, streamers, emergers, suspenders and more. Fly fishing is regarded as an art and technically sound angling technique and is one of the oldest forms of fishing in the World… It has been practiced for centuries and first became popular in the United Kingdom, North America, Australia and Japan. It is said that the first record of a fisherman using a fly was just before the 3rd century and there are many records from the 1400’s onwards. Of all the types of fly fishing, saltwater is arguably the most difficult followed closely by fly fishing streams and rivers… Special techniques, right fly choice and a lot of patience are key when doing these forms of fly fishing.